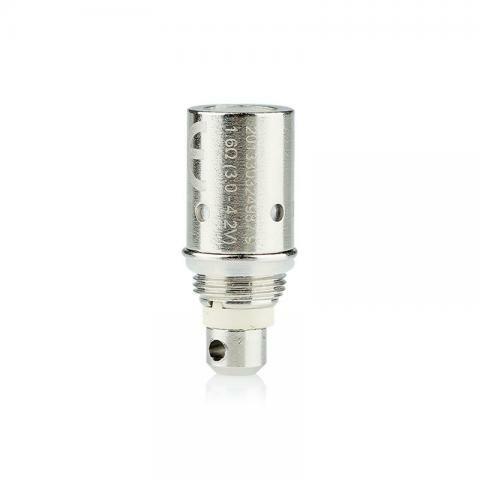 5pcs Aspire General BVC Coil Heads for Clearomizer (NOT for Nautilus/Mini). It suits Aspire K1 BVC Glassomizer/Tank, 3 resistances available: 1.6ohm,1.8ohm and 2.1ohm. Aspire General BVC Coil Heads suits Aspire K1 BVC Glassomizer/Tank. Here are 3 kinds of resistances available, which includes 1.6ohm,1.8ohm and 2.1ohm. Received item in good condition. checked product code in website shows original. everythings perfect.Brilliant service all over. perfectly packed, and arrived quick! thank you!! Aspire General BVC Coil is nicotine free with a resistance of 1.8ohm. offers better flavor and long lasting BDC coils. With 5pcs per pack.